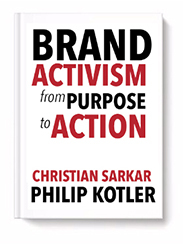 Christian Sarkar: Phil, we’ve just written a book called Brand Activism: From Purpose to Action, about the future of values-driven business. 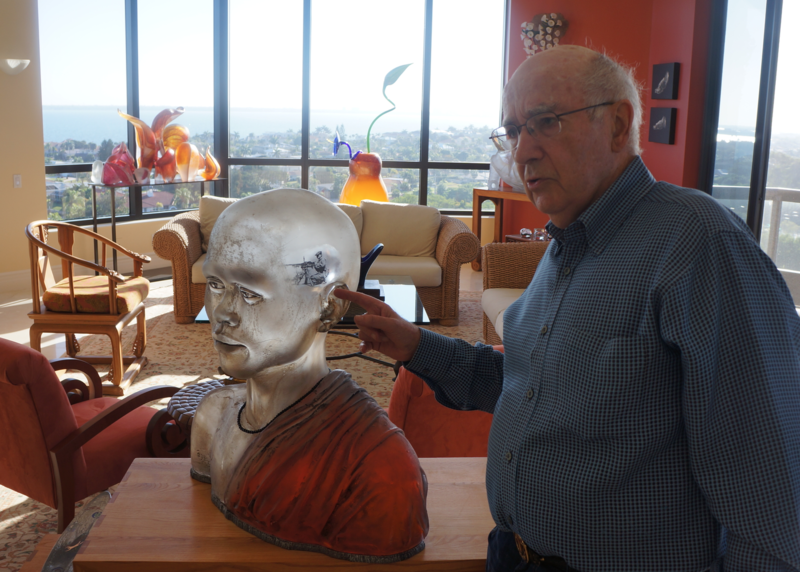 How should we put this transformation in context for readers? That was in his book – The Concept of the Corporation, in 1946! He was right. What we are seeing now is a transformation from marketing-driven Cause Marketing to corporate-driven CSR to societal-driven Brand Activism. Brand activism is different because it is driven by a fundamental concern for the biggest and most urgent problems facing society. CSR was not impactful enough. CS: Should all brands be brands activists now? How do you do Brand Activism in an authentic way? PK: What is Brand Activism? Brand Activism consists of business efforts to promote, impede, or direct social, political, economic, and/or environmental reform or stasis with the desire to promote or impede improvements in society. Brands can be progressive activists– making the world better, or regressive activists – making the world worse. Times have changed. In our highly polarized world, it’s no longer good enough to be neutral. In the past, a company could selectively choose the issues it wanted to engage in. No more. Your stakeholders – employees, customers, society – get to decide. Across the world, people – especially the young – are using social media and taking to the streets to stand up against all forms of injustice. They expect your brand to help solve the world’s biggest problems. You’re now a BRAND ACTIVIST, whether you like it or not. What are the world’s biggest problems? What does research tell us? CS: Well, we keep seeing the surveys that tell us the same thing. Governments and institutions are not doing their jobs, and people expect businesses to step up. A new survey tells us that the five major worries for global citizens are: Financial/ Political Corruption, Unemployment, Poverty/Social Inequality, Crime & Violence and Healthcare. In our book we say that the top three issues are Income Inequality, Climate Change, and Population Growth – and that the way to solve this problem is to fix our political system to remove Political Corruption by making politicians serve the public interest again. In another survey, 93% of respondents agree that “When CEOs issue statements about the key social issues of our time and I agree with the sentiment, I am more likely to make a purchase from that company.” 93%. So a company’s progressive Brand Activism can have a significant economic impact on sales, and vice-versa. On the regressive side, why do businesses lie and expect to get away with it? PK: That’s flat out fake marketing. It’s not about making the customers’ lives better, it’s about lying to them and being deceptive! How long does that work? You will be made ridiculed on social media, and you will lose your customers if they have any other choice at all. Deception is regressive Brand Activism. Your customer wants you to be progressive. CS: Which brings us to the question:are marketers equipped with the right skills to engage in Brand Activism? The leaders, like Patagonia, The Body Shop, Ben & Jerry’s, and more recently Levi Strauss are authentic. For these companies, they are not marketing campaigns. For them Brand Activism is business strategy. Social activism includes areas such as equality – gender, LGBT, race, age, etc. It also includes societal and community issues such as Education, Healthcare, Social Security, Privacy, Consumer Protection, etc. Workplace activism is about governance – corporate organization, CEO pay, worker compensation, labor and union relations, supply chain management, governance, etc. Environmental activism deals with conservation, ecocide, land-use, air and water pollution, emission control, environmental laws and policies. Economic activism includes wage and tax policies that impact income inequality and redistribution of wealth. Legal activism deals with the laws and policies that impact companies, such as tax, citizenship, and employment laws. CS: But marketers often don’t have the clout to drive a Brand Activism agenda. So to some extent, it depends on the influence and relationship you have with the CEO. In the book we make it clear that because Brand Activism is a strategic decision, it goes beyond marketing, to the very core of your business purpose which is the CEO’s vision. But who has the capability to deliver on an outside-in view of the world? Marketing. But there is a danger. The danger would be to support causes that are not in line with our brand. PK: There is also great danger in being inauthentic. You can’t pretend to do this. This is all about trust. You can’t be for justice on one issue, and injustice on the other. So, for example, NIKE has just taken a visible stand against to support Colin Kaepernick, as he protests the deaths of unarmed black youth at the hands of the police. President Trump has called Kaepernick unpatriotic, but that did not stop NIKE. Good for them. But what is NIKE doing wrong? Is it showing a commitment to stopping racism and sexism in its own workplace? As Nike starts down this road of brand activism, they are going to have to be more progressive in order to combat the image of exploitative sweatshop labor and gender inequality in the workplace. CS: And that’s why we point out that Brand Activism is an integrated suite of commitments to justice for all. The common good. Justice becomes a strategy for future-proofing your company. PK: For most companies, that can be confusing. Which is why the Sarkar-Kotler Brand Activism Framework we’ve created can help companies navigate their way. It’s for those businesses that truly want to improve. Brand Activism will become more important as companies realize that without an even playing field, businesses will no longer be able to compete. And citizens must stand up now, before they governments become even more intrusive. CS: Thanks Phil. I hope – for all our sakes – that business hears the outside voices: the planet, the people, society, and perhaps most importantly, the Voice of History.